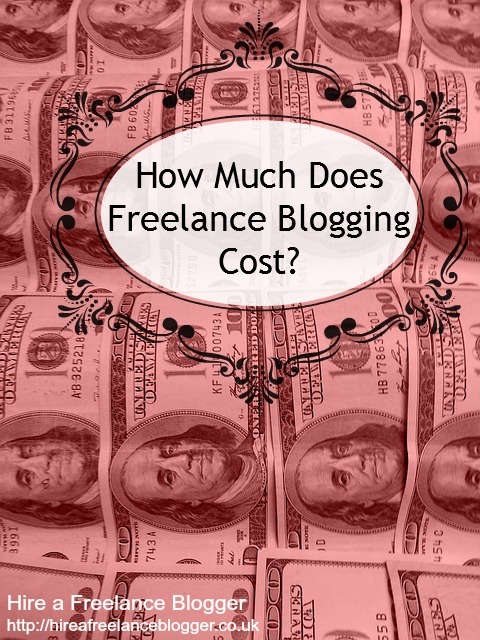 How Much Does Freelance Blogging Cost? The cost of outsourcing is always going to be on your mind. As a business owner, I get it. I know the cost of outsourcing for myself is always on my mind. You want the best quality at the lowest rate, and you want to be able to plan. 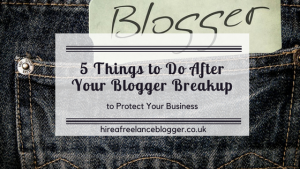 The problem with freelance blogging is you don’t have a clue where to start on costs. If you asked three different bloggers how much they charged, you’d likely get three very different answers. There’s no right or wrong answer, and like any type of service the bloggers have the ability to charge what they want. Freelance bloggers don’t usually share their rates on their websites, either. They can’t just give a one-size-fits-all approach to their writing rates, because there are factors like research, images, social media links, and more to take into account. Every client wants something slightly different. Some will do something similar to me. I have a page detailing a “from” price. The end cost will depend on details. But some freelance bloggers want you to get in touch for a direct quote. This is time consuming and you’re not always sure what to expect, right? Well, here’s a look at some factors and considerations to help you get an idea of how much your freelance blogging needs will cost before you get in touch for a quote. It’s time to save time and make sure someone is in budget. Please note: This content was originally written and published on May 13, 2014. It was updated on April 13, 2017 with extra information to help you determine your freelance blogging budget. Experience matters in blogging. Someone with no experience won’t quite understand the way to make content pop on the internet. They won’t know how content ranks well in the search engines. It isn’t a case of “write it and they will come.” But someone with the experience is going to cost more because of that experience. Think about it as if you were going to hire an employee. Someone who has been in the business 5 years is going to attract a higher salary than someone who has just graduated. If you were to ask Leonardo Da Vinci to create the Mona Lisa, would you only pay him $5 per hour? Of course not! There is a lot of talent, skill and experience that would go into creating that masterpiece. The same applies to content writing and blogging. The experience also increases the freelance blogging cost. More years on the job brings better ways of doing things and a better understanding of SEO. 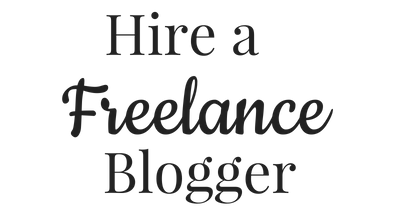 Freelance bloggers who are experienced within a specific niche will command an even higher rate. They know their industry inside and out and understand your audience better than a generalised freelance writer. 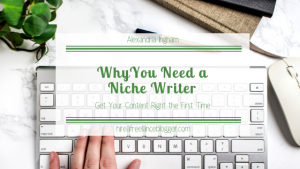 I know that it can be hard to guess how long it will take a writer to create your content. Ordering a blog post that is 500-750 words can take up to an hour to create. This will include all the research, the drafting and editing, and the polishing off at the very end. If you want to add images or include social media links, this will take longer. If you want the social media promotion afterwards, that will take longer still. Think about the time it could take the writer to create the content. This isn’t something that all writers will share, but they may share an hourly rate to give you some type of idea on what to expect. What Quality Do You Want? Do you want something thrown together quickly that can be put online for SEO needs? Or do you want something well-crafted that will wow your readers? Of course you want the latter! That means better quality of writing. There is some truth in the saying “you get what you pay for.” Those who only have the budget for a $10 article will find the freelance blogger cannot spend as much time on it as someone who pays $100 for that same article. The $100 allows for more time and research to be spent on the piece. The $10 blogger will want to get through it as quickly as possible to make a quick buck because he/she needs to. There is more value in a higher quality piece, so you may as well pay for that. The majority of clients I speak to want ghostwriting. I have no problem with that, but I do always point out that ghostwriting tends to be more expensive. There is one simple reason for this: lack of samples afterwards. I’ve spent years working as a ghostwriter. I’ve developed content on multiple niches that I now have an in-depth knowledge for, but I can’t share those samples with you. They were written for someone else and posted with their name. Because I have nothing to show for that work, the rate was higher. When I have a byline, I’m willing to charge a lower rate for freelance blogging. I can share the content as samples and gain by building my name and brand. I’m not a faceless nobody. If you want to keep the content price down, you will want to consider offering writers bylines compared to ghostwriting. The freelance blogging world is international. I have or have had clients from Australia, Canada, Great Britain, Russia, Sweden, and the United States. In fact, I once worked out that I’ve served 44% of the world with my writing skills; some countries more than others. If I’m serving people around the world, it makes sense that others are serving individuals around the world. It makes sense that there are writers in India, Pakistan, Mexico, Nigeria, and many more places where the cost of living is much lower than it is where I am. Where the cost of living is lower, you’ll find the rate for a blog post is lower. The writers don’t need to make as much per hour to afford to live, eat, and raise a family. And cheap doesn’t necessarily mean the content will be bad–but I do highly encourage looking at samples before hiring anybody (anywhere). It’s worth finding out about location of the blogger if you can. This may give you an idea of hourly costs. If they’re in a Western country then they are likely to charge at least $30 per hour. 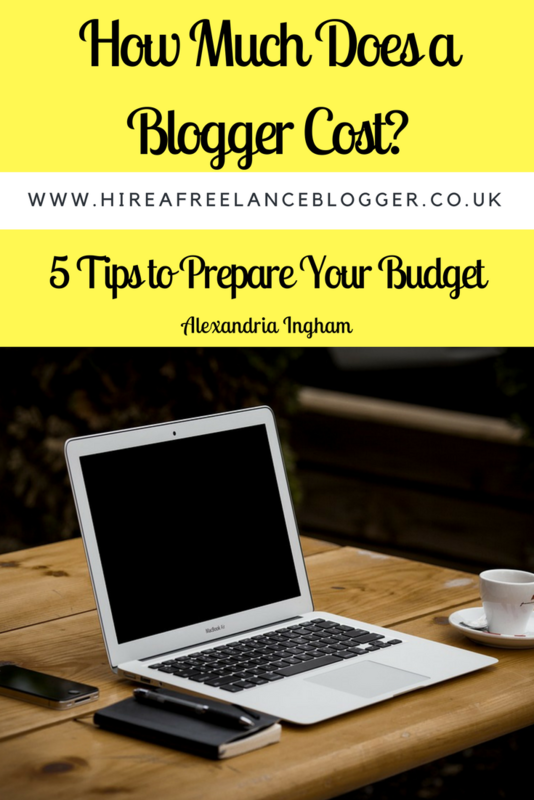 Those are just five considerations to make when finding out your freelance blogging costs. It’s really important to think about your budget. And pay more if you can afford it. You will find you get a writer with more experience, who offers better quality of writing. How did you determine the freelance blogging costs? Share the steps you took to determine the maximum you decided you would pay for some content. 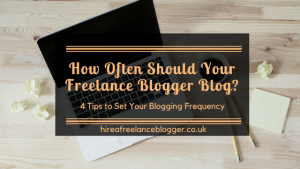 How Often Should Your Freelance Blogger Blog?